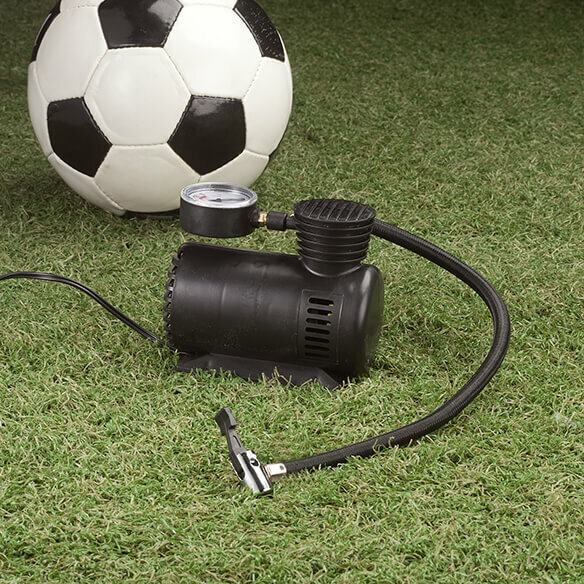 Keep this portable auto air compressor in your trunk to pump up flat tires, deflated sports balls, air mattresses, bike tires and more. 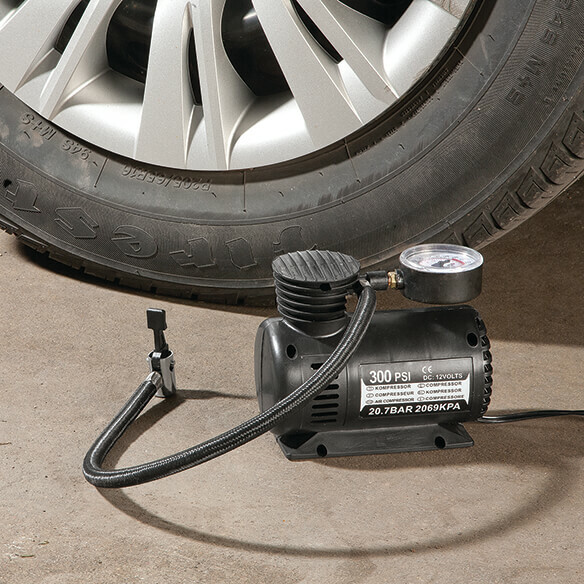 The compact, convenient air compressor for car works with a powerful 12V motor that ensures optimum effectiveness wherever you go, plugging into your vehicle's cigarette lighter or 12V outlet. It comes complete with a coiled air hose, a variety of needles and attachments for different inflation needs from tires to basketballs, rafts ... even backyard pools and toys. Plastic, metal. 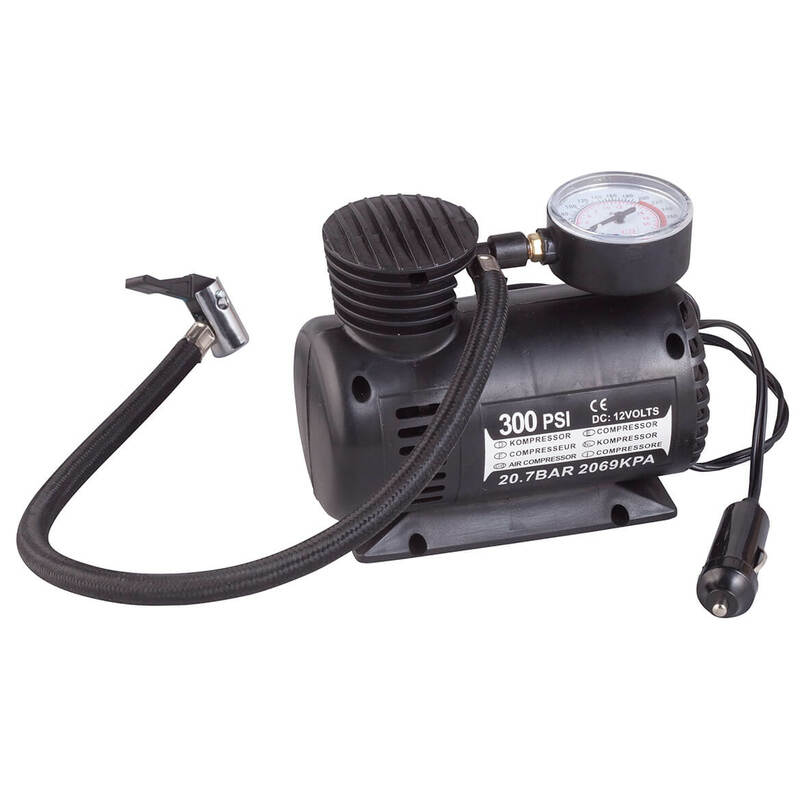 Car air compressor measures 6 1/2"L x 4 3/4"W x 3 1/2"H.
BEST ANSWER: Thank you for your question. The power cord comes with the compressor. We hope this information will be of help to you.